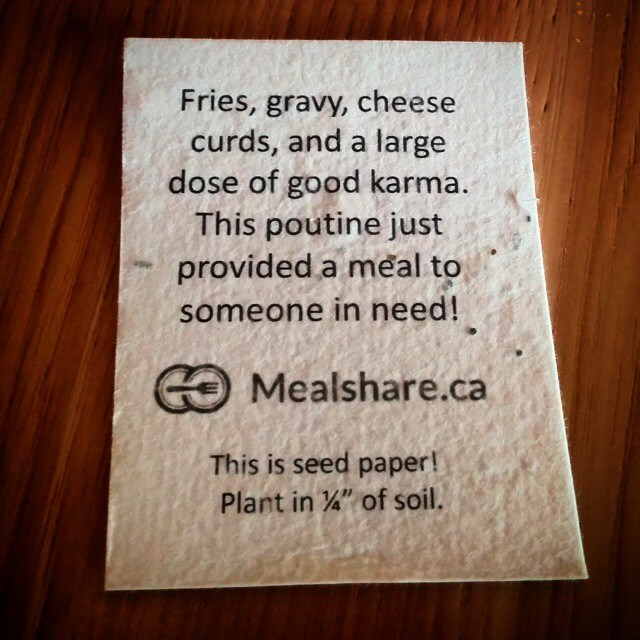 When we met Mealshare in 2013 we knew a partnership would give poutine a purpose. For every poutine you buy and enjoy during Poutine Week one free meal will go to a youth in need. Mealshare wants to end youth hunger in our lifetime - let’s help them do it! Mealshare partneres with restaurants across Calgary and across Canada with a simple buy one give one model that provides free meals to those in need when patrons order Mealshare meals. Mealshare exists to make sure youth hunger is ended within our lifetime. We’re committed to creating a world where it’s easier to share with those in need, and every child and youth is fed as a result. And, we won’t stop until that’s happened. Find a restaurant or poutine you want to try. Provide a meal to a youth in need.